It was smooth sailing at hospital today for Marya who had a follow up echo appointment. Thanks be to God she is doing really well, gaining weight healthily and getting closer to bring able to have her second surgery. For now Marya needs a little more time to grow and continue to allow her body to get stronger with the help of her current medications. Within just a few hours Marya had had her echo, ECG and vital sign checks and we were blessed with a sunny and quick drive home. Marya’s mother is so kind and patient and we really are blessed to have them here with us. Please pray that we are able to share the good news Jesus with Marya’s mother during her time here. I went today with a few volunteers to Sheba hospital. 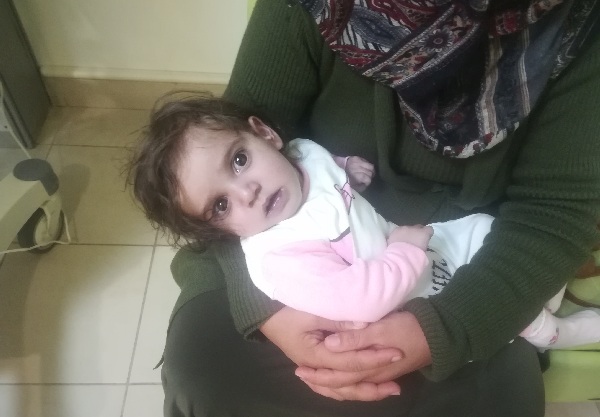 In my care was dear Marya, who is 4 months old, and her mum. Marya came for a blood test and she only gave one small whimper then was fine. Afterwards I had the privilege of wheeling Marya in her buggy around the clinic area. She gently fell asleep with a really peaceful look on her dear little face. 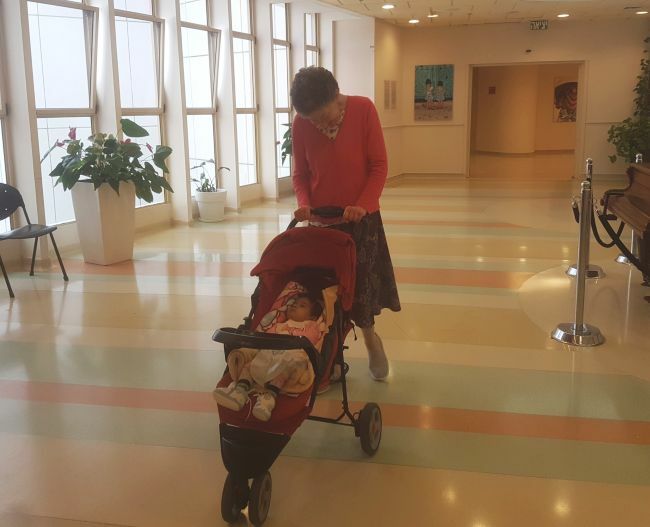 While waiting to go back to Shevet Achim, she awoke and it really touched my heart to see how happy she was in the buggy making gurgling noises and giving out heart melting smiles I played her nursey rhymes on my mobile and her little feet were tapping to the music. It came to me how each baby child in Shevet Achim’s care is so precious to our heavenly Father. 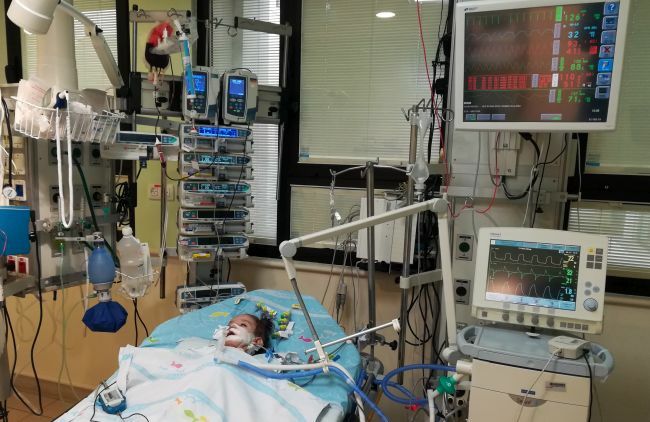 And I was so thankful for all Shevet does to constantly reach out to these dear ones in godly love and all the amazing Israeli doctors, surgeons, and nurses do to save these precious lives. Thank the Lord. As parents we are keen to know all the answers to our concerns about our children and Marya’s mother is no different. When we entered the echo room this morning, our nurse Diana had a list of questions for the doctor from mum. During the echo Marya lay placidly focusing her attention on a song coming from the phone. When her doctor entered he ask for specific images to be taken. He was concerned about Marya’s laboured breathing and tight tummy, both of which were on her mother’s list. 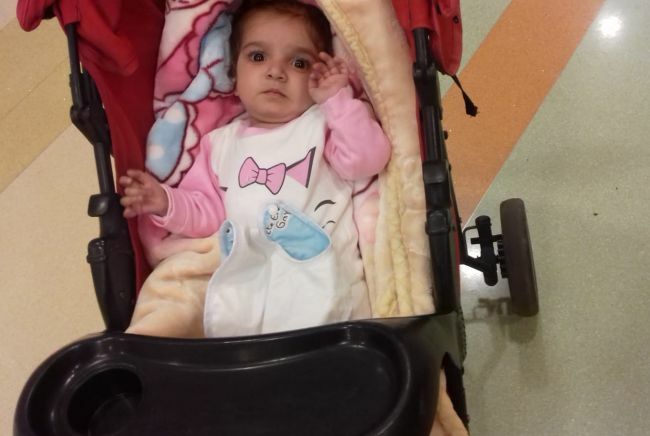 Her oxygen saturation levels are satisfactory and the echo images showed her liver is slightly enlarged, which may be the reason for her tummy tightness. There were no new issues with her heart today. As the doctor explained to us his plan for adjusting her medications and fluid intake, more of the list could be marked off. Good blood test results from last week answered more questions and finally the doctor finished the list by saying that Marya can begin strengthening exercises for her legs and trunk. At the end of the week she will have another blood test and then her third follow-up echo in 10 days. From this a time maybe set for future surgery. As we put our trust in our Heavenly Father for Marya we can have confidence that his father heart has many blessings in store for her. Thanks for praying. 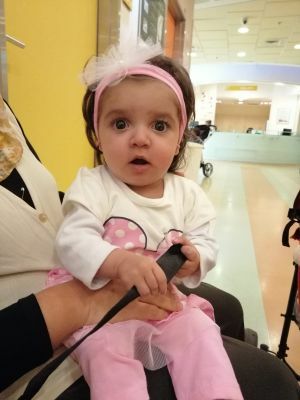 Little Marya had an exciting day of blood tests, her echo, ECG, and vitals. She and her mom were patient through it all. The doctor listened well to our concerns about her fluid levels that cause an increase in her work to breathe and lower oxygen levels. The nursing team are working with her mom to keep good track of her feedings so as not to overload her heart with too much liquid. 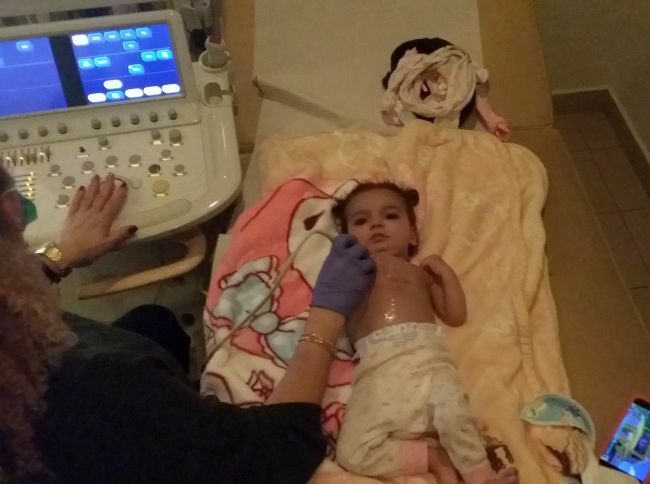 Her medications have also been increased to reflect her blood and echo results. Pray for continued improvement in her health and that her fluid levels are managed well. It feels like it’s been a long time coming, but Marya and her mum are home with us at Shevet! 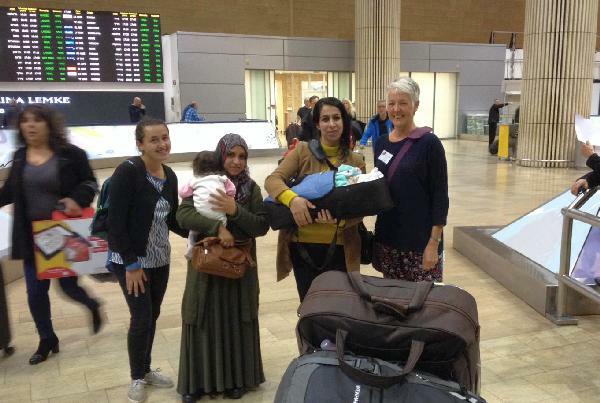 For the first time since they arrived in Israel, Sophie drove us all home, and Marya and her mum have joined the other families. She is sharing a room with Yara, with whom she came from Kurdistan. It hasn’t been so long since she had the last chest drain out, but is so good that the hospital was happy to send her home and we are pleased to have her here. Please pray that they feel at home, and that Marya is healthy and well. 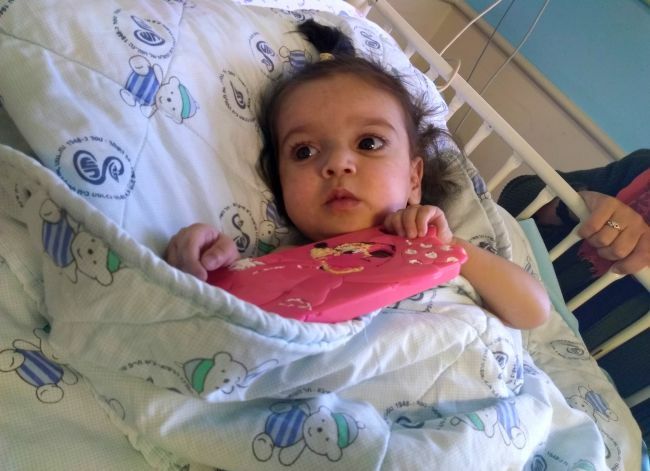 We had the opportunity to check up on how Marya and her mother were doing today. This morning Marya had her chest tube removed and later received an echo in the afternoon. 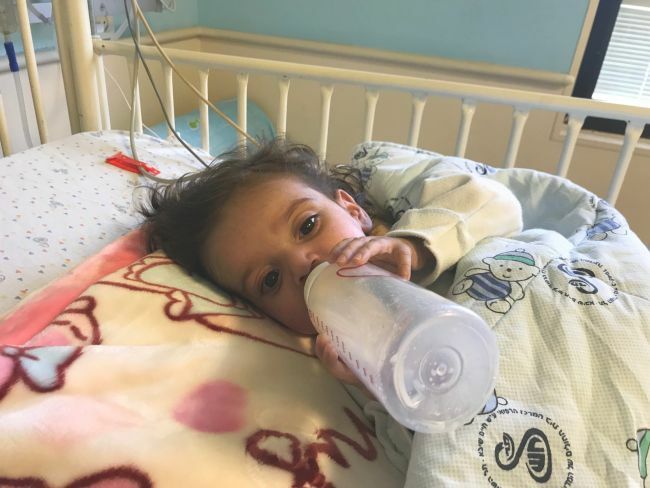 We are hopeful that she could have the opportunity to move out of the hospital and into Shevet tomorrow. We then sat with Marya and her mother afterward and spent some quality time with them. It was an absolute blessing to hold Marya’s hand and to see her smile and giggle as we interacted with her. Although we do not speak the same language, her mother was overwhelmingly welcoming and trusting of us with Marya. 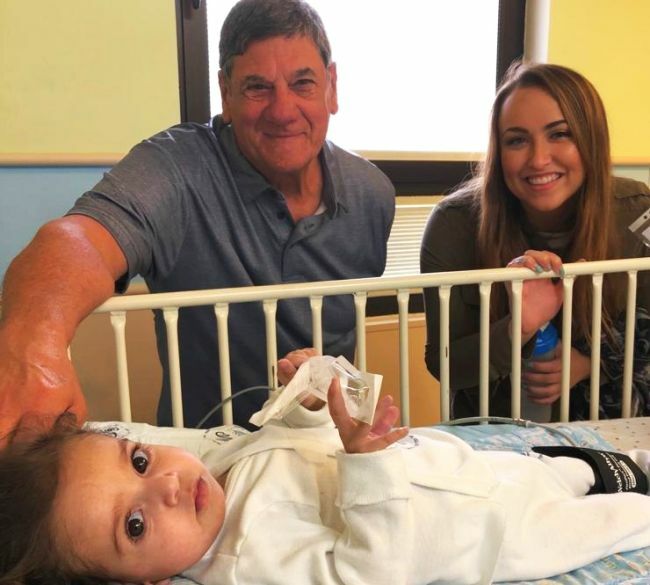 Please join us in praying for Marya and for God’s healing power. 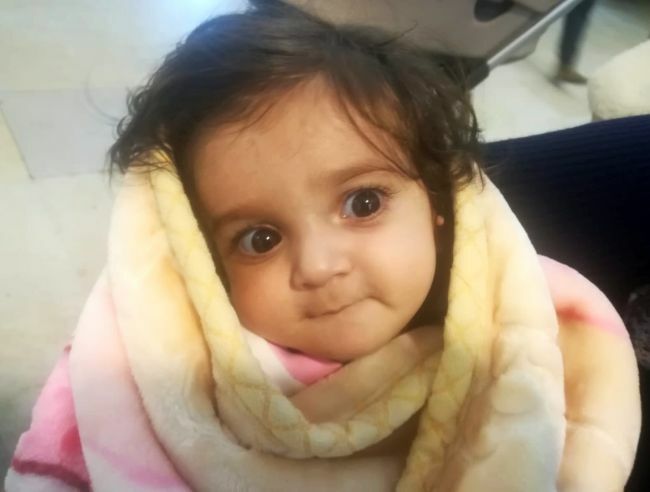 We also encourage you to pray for her mother as tiredness and the weight of her situation can feel difficult to navigate. Today when I walked in to visit Marya with a couple students from the Grace College team, Marya was awake, happy, and enjoying some morning yogurt! Praise God for her continued improvements! 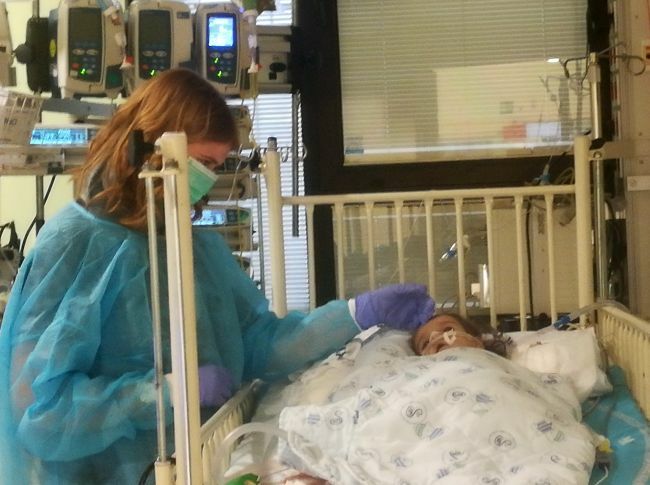 Marya is now off all oxygen and is getting better. She still has the one chest tube in that is draining one of her lungs. 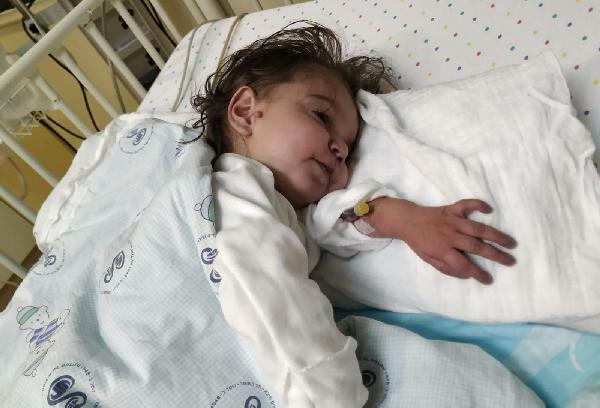 The doctors believe she will continue to improve without a need for more caths and surgeries during this hospitalization. Thank you for prayers for her healing. Pray for her lung that they may be able to remove that tube soon. Marya wasn’t quite as pleased with the cath as the doctor. She was obviously hungry when she was done but she was going to have to wait until the anesthesia was out of her system. 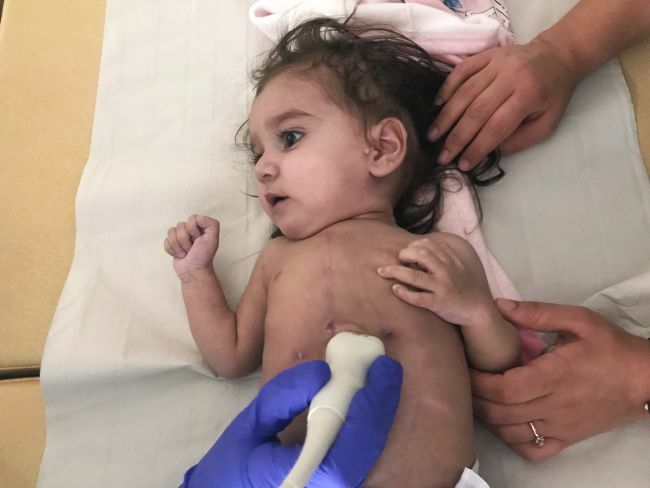 The doctor said her last surgery was very successful; however, they did find that she has more than normal blood flow to her lungs that causes extra pressure. The doctor thinks that might correct itself as she gets older, but it may mean another surgery in the future. 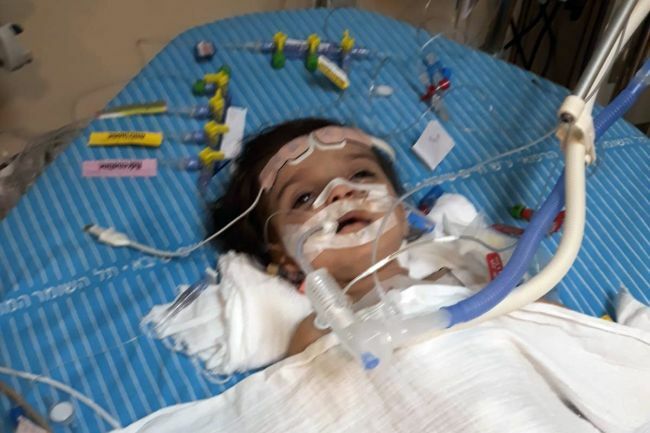 Please continue with us to pray for Marya’s full recovery. 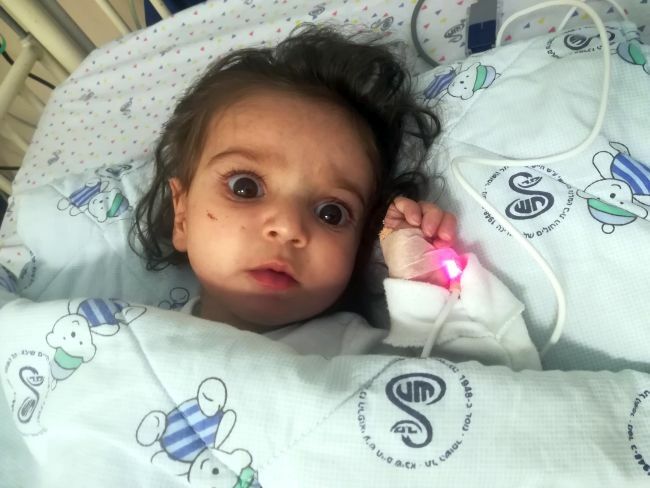 It is always a joy to visit Marya, because she is such a brave girl. She is recovering slowly after two surgeries. Also her mother is so lovely and kind. Today when I visited them I heard good news about her progress: yesterday one of her two chest tubes was removed. One remains because she has some fluid in her lungs still. We don’t know when they will remove the other one tube yet. 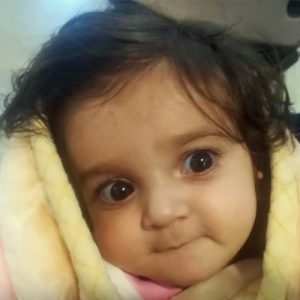 She is no longer in a isolated room and she is free of bacteria and virus! And she is eating well. Please continue to pray for our beautiful princess, for her soon recovery and for strength in this time for her amazing mom. It was nice to see Marya today; the first time I have seen her since the day of her surgery. So, it was lovely to see her beautiful face, and so much hair! Marya is so tiny, but looking so intently at me and Joseph who were visiting her. Today she has started trying to feed orally. The nurse said that she does have a fever, and that she is recovering slowly still from her operation. Please keep Marya in your prayers and she continues to recover. Pray that the Holy Spirit will fill her. Today when we went to visit our beautiful Marya, she had been extubated yesterday and her mom was happy. 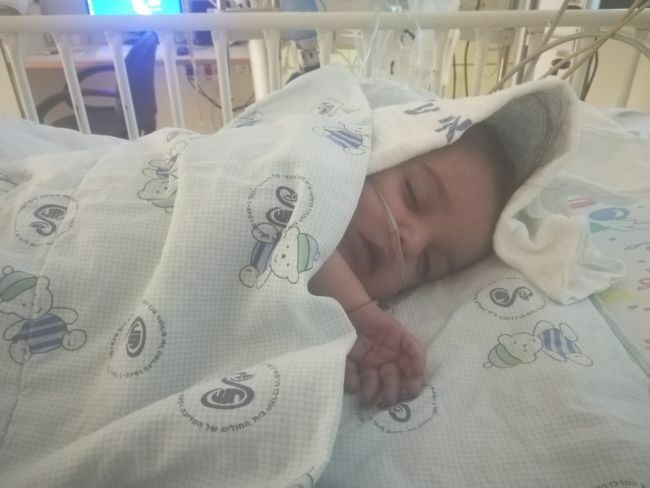 The doctor told us that she is stable but for now he wanted her to use a nasal cannula. Her mom is doing very well. Please pray for her and for our beautiful Marya to heal and gain strength in the hospital. 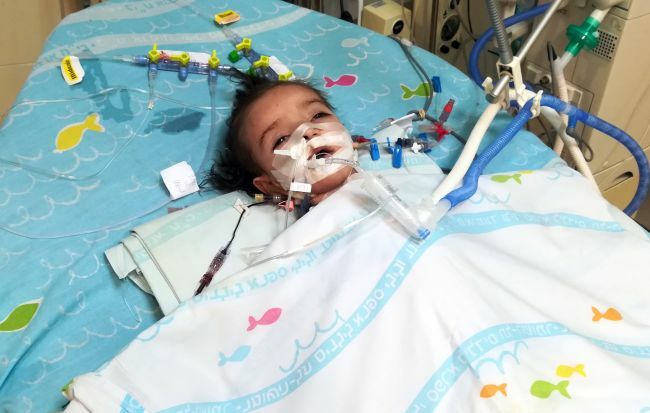 Today was the second surgery for Marya, for the surgeon to dialate the pulmonary artery. It was so nice to see her for the first time, after she had been stabilized following the successful surgery. She looked so tiny in the bed. Her mum was so lovely and welcoming, and she showed me some photos of Marya before the surgery. We also chatted about her family. Marya is the youngest of 4 siblings. 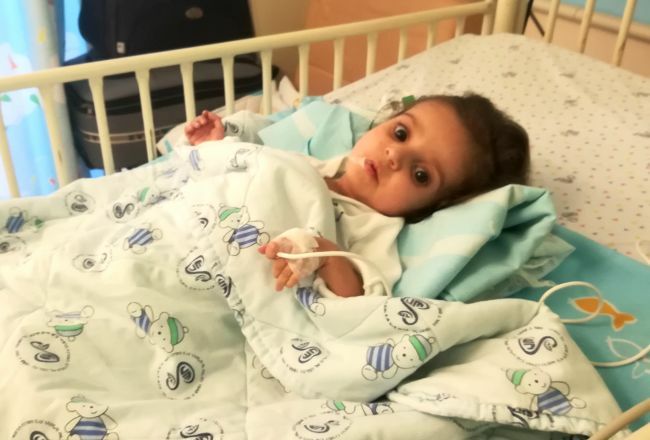 So the hope now is that all the surgeries are done, until Marya is older, and then maybe she will need a follow-up surgery. This is great news for mum and hopefully she can focus on Marya’s recovery. Please pray for her over these critical next 24 hours after the surgery. 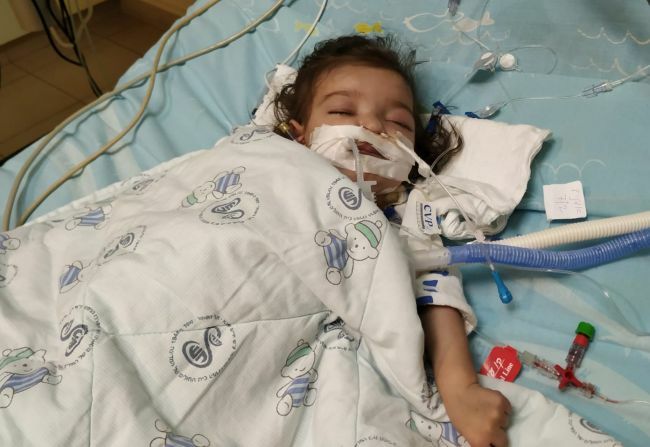 As of right now, Marya still needs $8000 toward surgery and related expenses.